What does the term splash the pot mean in poker? 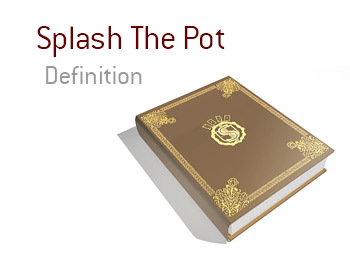 What is meant by the term splash the pot? In poker, "splashing the pot" refers to when a player directly tosses chips into the pot, rather than simply pushing them forward in a neat pile. "Splashing the pot" is frowned upon because it makes it harder for the dealer to determine if the correct amount has been bet. For instance, if I say "I'm betting 500" and then toss a bunch of chips directly into the pile of chips that are already in the middle of the table (the pot), the dealer will have a much harder time determining if I bet the correct amount. What if I accidentally bet 450 instead of 500? The dealer might have to recreate the hand up until that point to determine if the correct amount of chips are in the pot, which is a major pain. For this reason, "splashing the pot" is considered to be extremely bad etiquette. Instead, cut out your chips and slide them out in front of you so that you can let the dealer collect the chips. 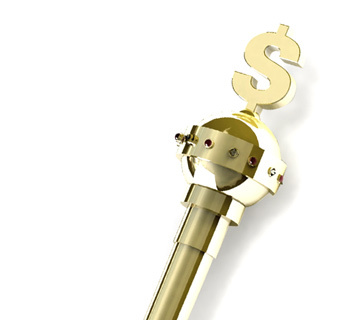 By doing this, it is much easier to determine if a correct bet/call/raise has been made.